Well, I'm sitting in my room here at Vandy and still haven't started my chemo. 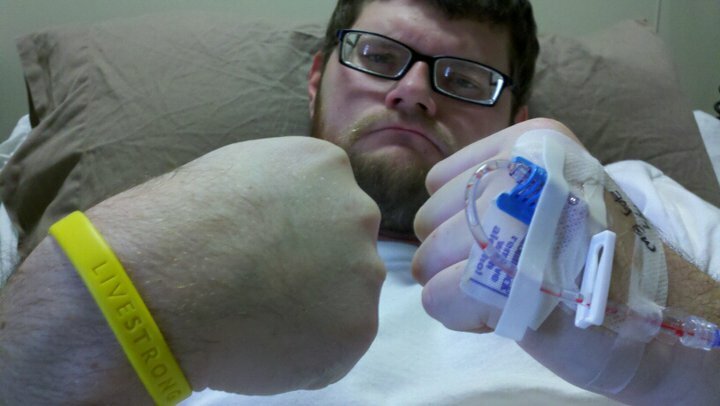 My port (the device which the chemo is administered) is all jacked up, and they won't use it. What does that mean?? It means tomorrow morning I'm going to have a Picc Line inserted tomorrow to get the chemo flowing. Overall, today has been a pretty good day. The nursing staff here is great and the doctors are very professional. Also, I was able to leave my room this evening to head downstairs to the cafeteria and eat dinner with Dianne. Well, hopefully, I will be starting chemo sometime tomorrow morning, more to come later. So proud of your positive attitude, Paul! God bless! You are both amazing and inspiring people. My hopes and prayers are with you.